On the weekend, I curled in the Continental Cup Bonspiel at my home club. 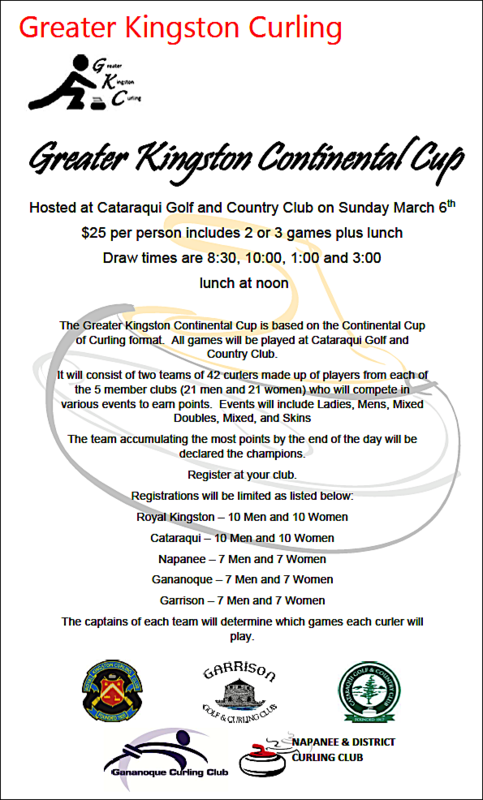 Teams from Napanee, Gananoque, Royal Kingston, Garrison and my club Cataraqui competed. It was lots of fun. The lunch, food, was excellent. And the curling excellent. Wednesday went for my run, Felt tired, I lack no energy. Walked approx. 2k of the run. Today's Run, Thursday, March 10 put in a good run. I have started to read - The DaVinci Code. its excellent. not sure why I have not read it before this. I have been watching the Briar curling bonspiel on TV. My team is Gushue from Newfoundland. I like him, he's a very classy guy, Hope team Newfoundland wins.